There’s no question about it. Podcasts are hot these days. Audiences have discovered the ease of listening to the news, learning more about their interests, continuing their educations, and being entertained amid their busy lifestyles. Plus, there’s endless internal business potential to this medium of communication. Blogs, web articles, and other written content still have major SEO power, but the simplicity of streaming audio is taking off. And to answer the next question on your mind: yes, you can showcase your podcast on WordPress. 26% of Americans listen to podcasts at least once a month according to a recent study by Edison Research, and the numbers only go higher if you start looking into business audiences. Another survey by small business research firm Bredin discovered that 39% of owners of small-to-medium-sized businesses (SMBs) listen to podcasts, and as high as 72% of owners of business of 100 – 500 employees are listening in. We’re at a point with technology where content creators have have the ability to produce professional productions with relative ease, and audiences now have the right tools at their fingertips to listen. Podcasts and audiobooks have taken off in recent years. Is your business ready to join in? Why is everyone talking about podcasting? You might have heard that nearly half of 18 to 34-year-olds now listen to podcasts, at least weekly, as a source of news. As you see from the earlier named statistics, this Millennial population isn’t alone. 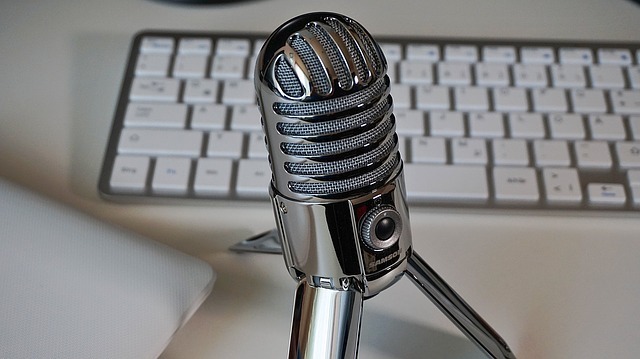 Podcasting is hardly a new trend, but its continuous steady growth is making a lot of professionals reconsider how they communicate with their audiences. Apple’s iTunes has long been the industry leader when it comes to listening to podcasts, but with Google’s recent shift in how they display podcasts in their search results, as well as their recently released Android app, “Google Podcast,” and guidelines for podcasters on how to better one’s chances of showing up in podcast search results, they are going to be making waves in the market. Considering 54.5% of smartphone owners in the U.S. use the Android operating systems over the 44.3% that use Apple’s iOS (a statistic that shifts even more dramatically to 85.1% vs. 14.8% globally, in favor of Android, as of late 2017), this is a power-play that a lot of people have been waiting for. If you’re looking to join the podcasting community, with the right strategy, it’s definitely not too late to build a serious following. Can you integrate your podcast into your WordPress website? Absolutely. WordPress is as versatile and scale-able as ever, whether your business wants to bring a podcast into a basic brochure website or into a more complex ecommerce or LMS experience. And it needs to be as simple for your audience as possible. Think: visit website and press play, not visit website and download file. Is there such a thing as “Podcasting SEO”? There definitely is. The language of your recording does not (yet) come into play, but think about all of the text and image pieces surrounding it. Think about the title of your podcast series and your episode, the summaries and/or transcripts you include for the podcast, and the language you use there. Consider your meta descriptions and the alt tags for your images, as well as the headers and internal and external hyperlinks. Think about the categories and tags you use on iTunes, Google Podcasts, Stitcher, Player.fm, or other discovery channels. There’s a lot to consider if you want to podcast in the savviest way possible–and yes, this includes the Google guidelines previously mentioned. Committing to the right strategy can make all the difference. How should a business use podcasts? You need to focus on professionalism, as with every other marketing piece you put out into the world. You wouldn’t publish a web article full of typos and extraneous ellipses, so please don’t publish your podcasts full of babble and layers of static. Sound quality is essential, as is preparation before recording. Whether you’re sharing your expertise on the subject-matter of your industry to the world at large or sharing specifics for staff in the on-boarding process, listeners are ready to be receptive if you are prepared to give your best. Many argue it’s easier to record a conversation for a podcast than to draft and edit a blog or a newsletter. No, podcasts aren’t making these other content pieces disappear (at least not yet), but they are revolutionizing the way businesses are thinking about their communications. 57% of communications executives plan to boost investments in podcasting, according to a recent global poll of 650 business leaders. Is your team a part of this growing trend? Maybe it’s time to consider what a podcast can do for you. Ready to add your podcast to your business’s WordPress website? Contact Midlothian Web Solutions today. Enjoy articles like this? Sign up for the Midlothian Web Solutions quarterly email newsletter to make sure your business stays ahead!